Many different approaches to working with horses have been developed internationally with different names: Equine Therapy, Hippotherapy, Equine Facilitated Learning, Equine Assisted Therapy etc. As part of the EAQ® network we offer Equine Assisted Learning sessions to schools and organisations that work with children and young people. These experiential learning sessions are based around activities with the horses on the ground although some riding may be included. We also work with our small animals and in the natural outdoor environment. Learners can use the sessions to help them manage challenges and issues in their lives and/or work towards gaining certificates from the Open College Network in areas such as personal development, or animal care. We have worked with class groups to support peer relationships and with a girls' group to develop self-confidence. Many young people who find conventional schooling very challenging are able to thrive and learn in the learning environment that we offer. Our curriculum is based around the horse; for example we explore history through how the horse has assisted humans through farming and wars, geography can be covered by learning about the different environments each of our native British horses have come from and we weigh and measure the horses regularly to plot their weights on graphs for some of our numeracy. 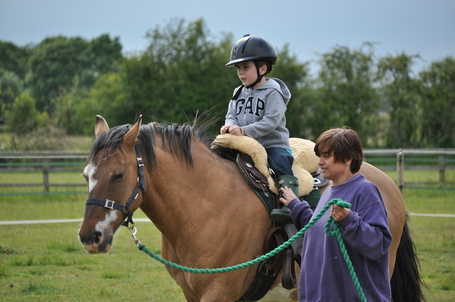 Our family Equine Interaction sessions focus on the interaction and communication that occurs between the child with autism and the horse as well as between the child and session leader. The opportunities to interact with the horses are provided through meeting the herd in the field, sensory exploration, brushing, feeding and leading as well as in games and activities when riding. With younger children we also use singing: familiar action songs and made-up 'commentary songs' where we sing about what the child is doing, looking at or listening to, in time to the horse's movement. This helps to focus and engage the child and provides repeated, structured language. Some children do prefer to experience and focus on the movement and rhythm of riding without any additional input. 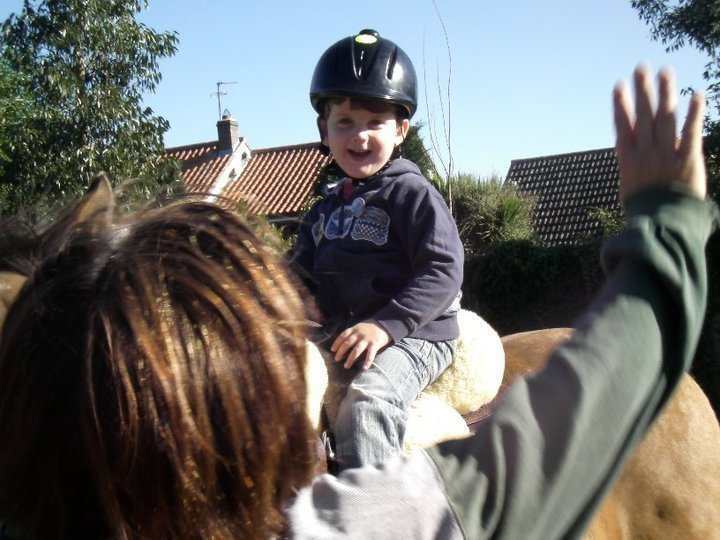 Research has shown that being with horses, and horse-riding, has the potential to benefit children with autism in many areas including verbal and non-verbal communication, social interaction, motivation, attention and eye contact. It also improves motor skills, assists sensory integration, increases confidence and has a calming effect, as well as being a fun and healthy physical activity! and is a trained EAQ® facilitator. trained by Rupert Isaacson (see links to Horse Boy websites). We are not a riding school and do not teach riding. 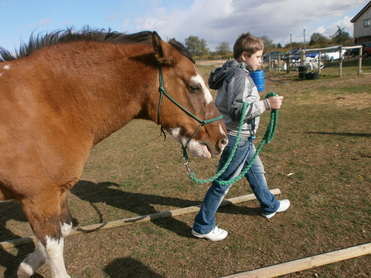 Our aim is to encourage learning and communication and reduce anxiety through interaction with the horses.